Tender cubes of meat cooked in a hot oil until perfect are juicy and tasty. This is what a meat fondue or fondue bourguignon is all about. Serve it up with a hefty green salad and some tasty dips as a meal to share with family or friends. But how to go about it? What are the best oils to use in the process of meat fondue? Let’s look at some of the things we need to consider and which oils work best for this delicacy. When an oil reaches a temperature which produces a constant smoke that has a bluish hue, this means it has reached its ‘smoke point’. This indicates the breakdown of the oil due to the heat. Basically, it begins to burn and gives off an unpleasant smell. It could also impart an unappetizing flavor to food cooked in it. Different oils have different smoke points. When using a fondue pot, the temperature of the oil needs to be at about 350 degrees Fahrenheit to cook the morsels of meat. Canola oil (refined): 400 degrees Fahrenheit. Peanut oil: 450 degrees Fahrenheit. Grapeseed oil: 420 degrees Fahrenheit. Sunflower oil: 440 degrees Fahrenheit. Virgin olive oil: 420 degrees Fahrenheit. Clarified butter (ghee): 485 degrees Fahrenheit. Sesame oil: 410 degrees Fahrenheit. Many of the oils used for fondue will impart some flavor to your meat when it’s cooked. Some will do this more than others. If you want a Chinese twist on your fondue, sesame oil would be perfect. For a Mediterranean take on fondue, olive oil is a good choice. However, when you want something neutral, canola oil is the best choice—closely followed by peanut oil and grapeseed oil. What Type of Fondue Pot Do You Need? The best pots for a meat fondue cooked in oil are made from cast iron, stainless steel or copper. Most other types of fondue pot are not designed to deal with the high temperatures required and can crack. This is especially the case with stoneware or ceramic pots. It’s also a good idea to have a fondue pot that has a splash guard. This will protect guests and your table from hot, bubbly oil. If your pot does not have a splash guard, don’t fill it more than halfway. There are many pots available for meat fondue, both in the traditional burner style or with an electric heating element in the base. There are a few things to take into account when cooking your meat in very hot oil. Water will make it splatter so it’s important to dry it first. Adding salt can turn the oil cloudy, so avoid using it if possible. Don’t fill the pot more than about two-thirds of its capacity, and never move it with hot oil inside. If you have an electric fondue, make sure the cord is out of harm's way. The oil in the pot won’t stay hot if you try to cook too much at once, so try and take turns. Remember, the food will be very hot—let it cool a little before eating it. Of the many oils available you can use for a meat fondue, some are better than others. These are our top picks. This canola oil is produced on farms in the western region of Canada. It is organic and the oil is pressed using a mechanical process, which does not involve solvents or chemicals. This oil also has more health benefits, such as lowering cholesterol, compared to other oils and fats. As we have mentioned, and as other users find, this oil does impart flavor to your meat when it is cooking. 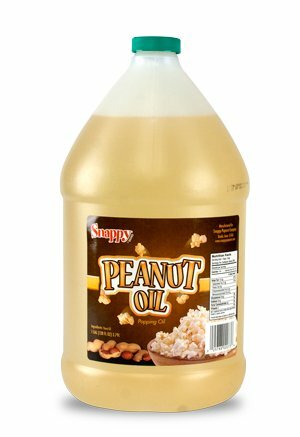 This refined peanut oil comes in a large 1-gallon size. The clear oil pours easily or can be used with a pump. The oil is 100 percent peanut and contains no trans fats. While it might impart some flavor to your food, we find this is very mild. Others who have used the oil also report the same finding. 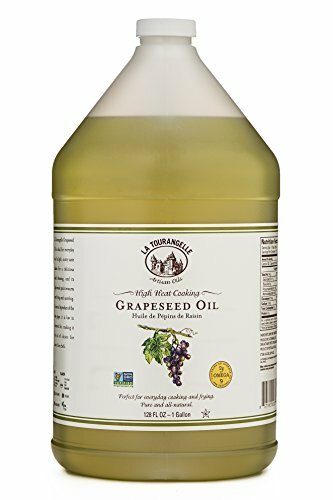 La Tourangelle produces a number of artisanal oils, one of which is this grapeseed oil. In a convenient 1-gallon container, it is perfect for fondue. The oil is expeller-pressed, organic and GMO-free. It has a shelf life of 2 years unopened and 6 months once opened. Customers say the oil imparts little or no flavor when used for frying, which matches with our findings. It is pure enough to be used as a moisturizer for dry skin as well. 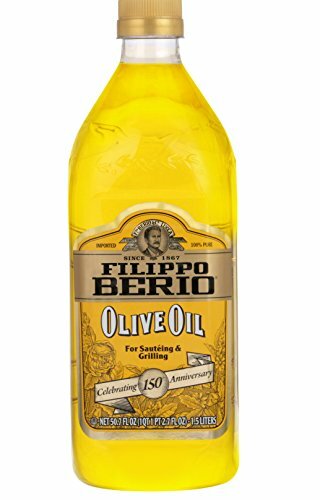 Filippo Berio makes a number of olive oils and extra-virgin olive oils. This 50.7-ounce offering is 100 percent pure, non-GMO and gluten-free. The taste of this oil is very light, making it a good contender for using in fondue. There are a few points you need to consider when serving an oil fondue. The type of pot, the type of oil and also which meats you want. We have detailed what we think are the best oils to help you make your choice. The rest is up to you—compile your menu, gather your guests—and enjoy.